Well a couple of years ago he started to worry about what would happen to this website and another website if something were to happen to him. He decided that he had put too much work into either one to let them disappear, so he entrusted me (Brian) with the usernames and passwords for them. Ok, so that is the status of the webpage, but how about what is really important to amateur radio, the SSTV repeater? I brought his radios, power supplies, and amplifiers home with me. I am buying them from my stepmother to help her replenish her savings that she had to wipe out for the funeral. (if you are an older ham, and just by the large number of silent key announcements we see these days many are, please check into your life insurance policies and see what kind of changes happen to it when you hit 70) All right, I've got the equipment, how soon can I get the repeater back up? I hope to have it back on the air by this time next year. Yes that seems a long time, but I will be gone from mid-march to mid-august for training for the Army National Guard. 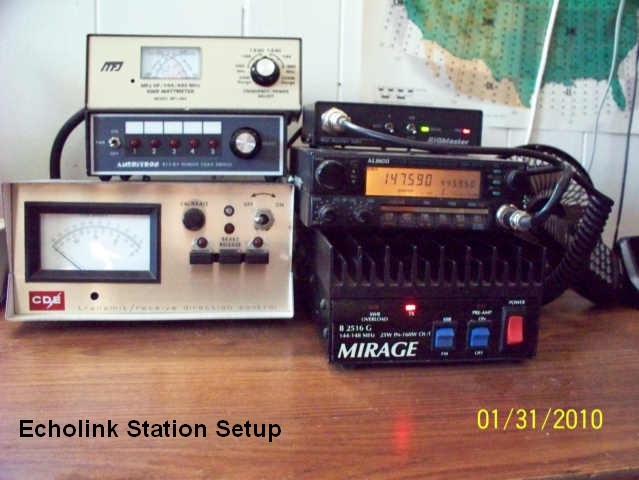 There will be quite a few things I need to take care of over the next 3 months before I leave for training, and integrating my father's equipment into my hamshack wasn't one I was expecting. receive still full color pictures all over the world. SYSOP of the K3ASI Simplex SSTV Repeater on 28.690 mhz. This has been in operation since 1996. See SSTV Repeater Info and pictures in directory.